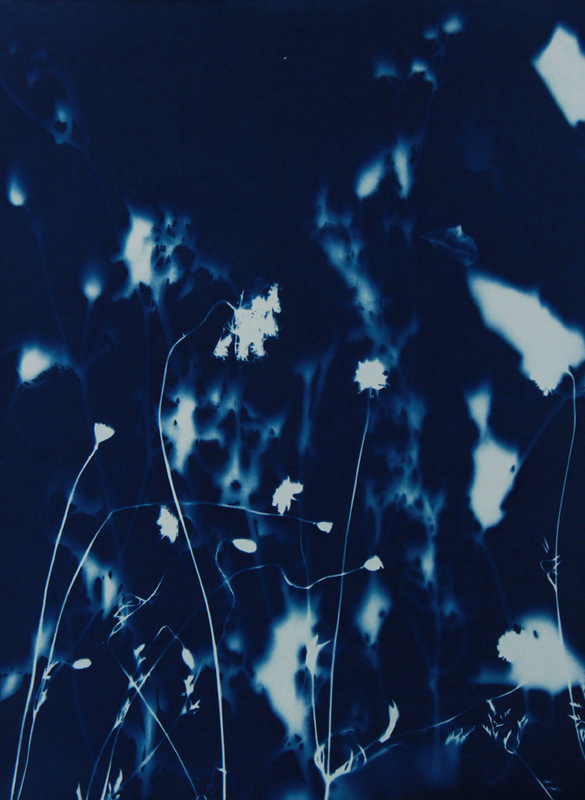 Image: Pipo Nguyen-duy, “Untitled 01,” Monet’s Garden, Giverny, 1998, Cyanotype (Unique), 15 x 11.5 inches. These images of botanical specimens were made by artist Pipo Nguyen-duy in Claude Monet’s garden during his residency in France through The Lila Wallace-Reader’s Digest Artists at Giverny Fellowship. Born in Hue, Vietnam, Nguyen-duy immigrated to the United States as a political refugee, and is now a professor at Oberlin College in Ohio. He has received many awards and grants including a prestigious Guggenheim Fellowship in Photography and a National Endowment for the The Arts. Be sure to click on any image in the slideshow for a larger JPG with details on sizes and prices listed below.